There is now a one-stop show for safes, hot tubs, and pellet stoves in Preble County. 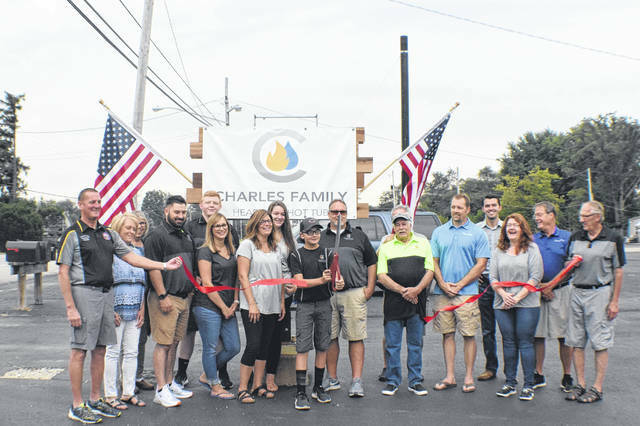 Charles Family Hearth and Hot Tub celebrated the grand opening of its location at 1123 E. Main St. in Eaton, with a ribbon on Saturday, Aug. 25. EATON — There is now a one-stop show for safes, hot tubs, and pellet stoves in Preble County. 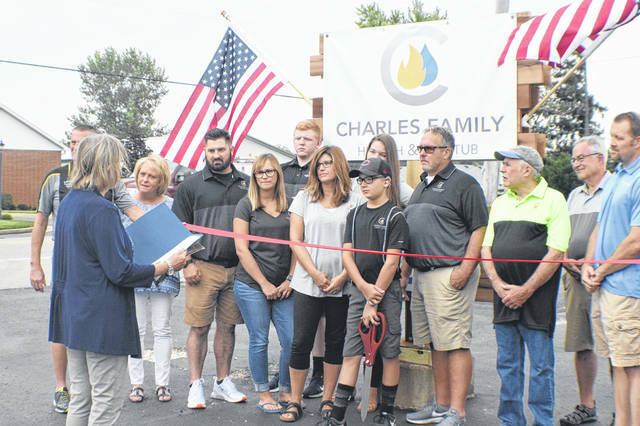 Charles Family Hearth and Hot Tub celebrated the grand opening of its location at 1123 E. Main St. in Eaton on Saturday, Aug. 25. The family business opened its doors for a ceremonial ribbon cutting and celebration. Elaine Herrick, Regional Liaison for the Ohio Secretary of State’s Office, was also on hand to present the owners with a Certificate of Commerce. “We’ve been in business since 2005, we’ve been selling pellet stoves and fireplaces, stuff like that, out in the country. We adopted some children and decided we needed to step our game up a bit. So, we bought this property, remodelled, and started selling spas and safes,” Owner and General Manager Todd Charles said. “It is a family business and I’m wanting to retire one day, so maybe they’ll pay me to stay away in another five or six years, that’s the goal. Being here, it is different. We have a lot of traffic, and that’s why we’re here. We have three times the room here and it has really turned out pretty nice for the store,” he said. “We haven’t been here that long, so I haven’t learned all the things we need to watch for. People might steal something here, where out in the country we didn’t worry about that. We got our permit to occupy just last week, just in time before the grand opening,” Charles added. As for why spas and hot tubs, Charles noted, he believes in their health benefits. “I just feel the products that we sell are products that us aging baby boomers need,” he said. “We have sore muscles, bones, and arthritis. We have lowered priced fuel to heat your homes. Most people use oil, propane, or electric, but we can beat that a lot. So, we’ll save you money. “We put a lot on the line here and we just hope that we can be successful and continue to serve for years to come,” Charles said. https://www.registerherald.com/wp-content/uploads/sites/41/2018/08/web1_Opening2.jpgThere is now a one-stop show for safes, hot tubs, and pellet stoves in Preble County. 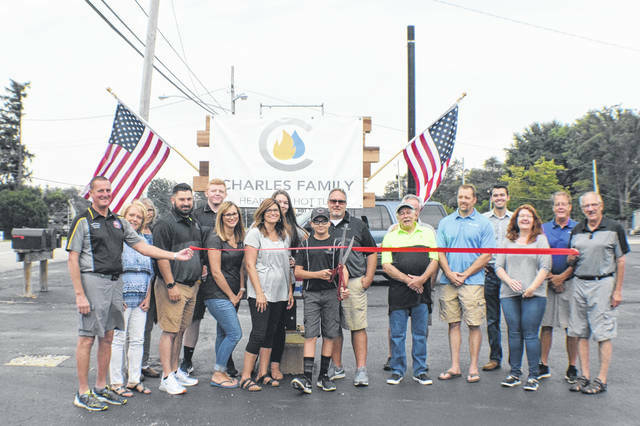 Charles Family Hearth and Hot Tub celebrated the grand opening of its location at 1123 E. Main St. in Eaton, with a ribbon on Saturday, Aug. 25.